On December 15, 2016, CDHS issued an operational memo requiring counties and child placement agencies (CPAs) to submit data-based diligent recruitment plans that are reflective of the children and youth in out-of-home care. 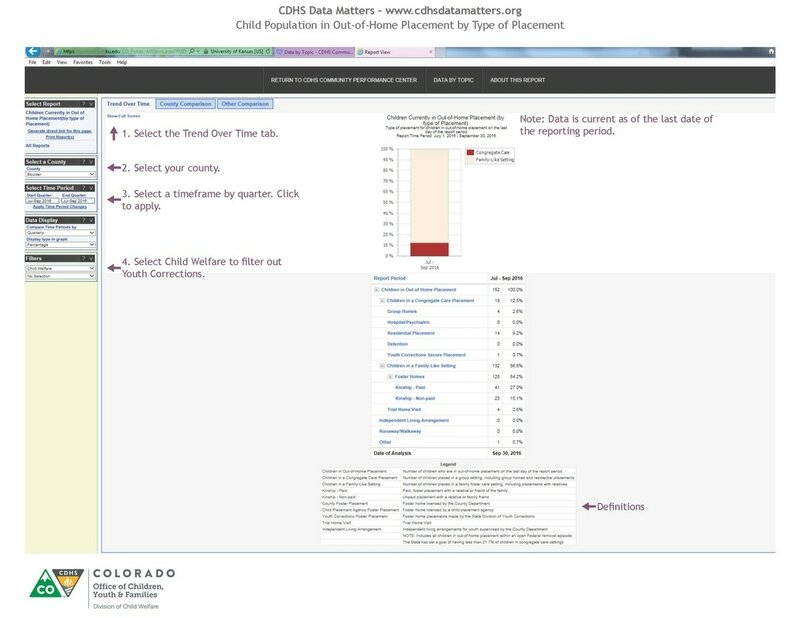 Publicly available reports are available on the CDHS Community Performance Center that provide much of the data needed to develop a comprehensive diligent recruitment plan. 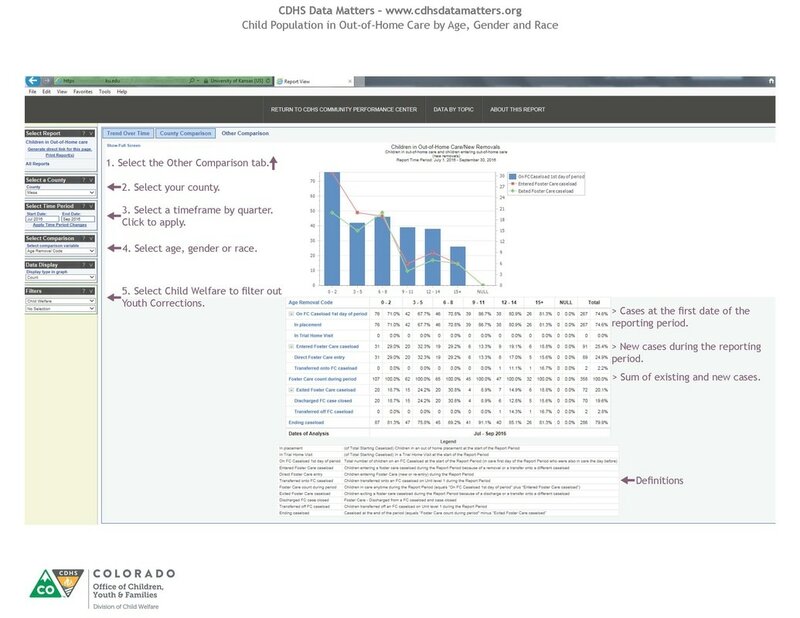 Desk aids for the “Child Population in Out-of-Home Care” and “Child Population in Out-of-Home Placement by Type of Placement” reports are available to guide users through the data collection process.